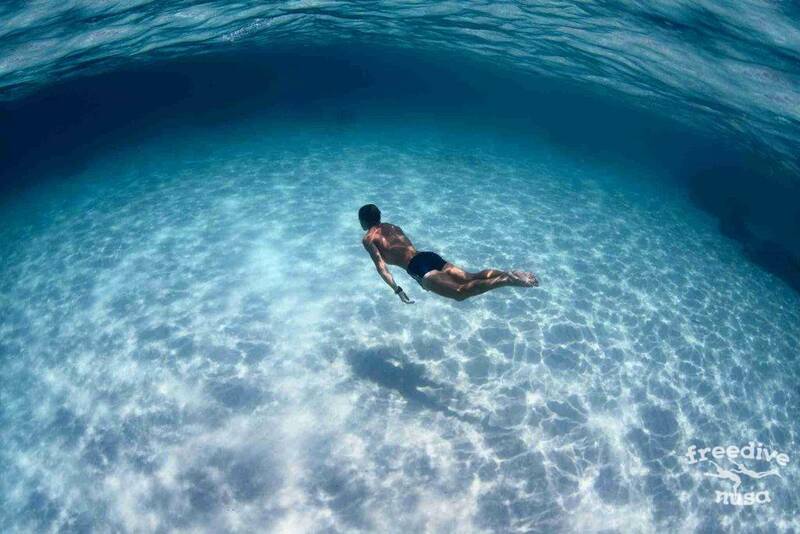 No-fins freediving is the purest form of diving. 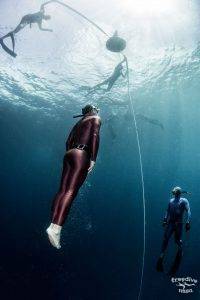 It requires the freediver to descend and ascend along the line without using fins or pulling the rope. It’s also the most physically and technically demanding discipline because it requires a high rate of work and a long dive-time. At the same time it’s the most pleasant form of freediving because it allows you to feel complete freedom under the water.  During this 2 days course you will be developing a proper DNF and CNF technique which will give you ability to freedive with minimal equipment, preserve oxygen and increase your performance. The course includes 2 confined water sessions and 2 open water sessions. This course has two stages. No-Fins Pool is the first part. It is focusing on the pool exercises and step by step it develops the technique needed to swim efficiently underwater without fins. It includes lots of practice, repetitions and of course fun! Second part is depth training or CNF dives. After open water training students complete the full No-Fins Specialty program. 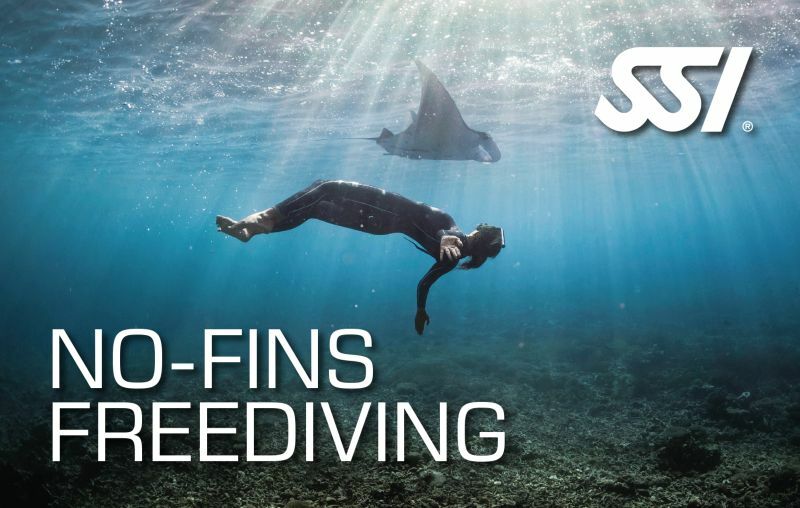 No-Fins Freediving, especially for deep freediving, is considered the purest form of freediving. Freediving without fins give you a better perception of streamlining, gliding, and efficiency of movement. Without fins, you receive immediate feedback if your movements are not correct. Most freedivers do not have regular access to open water, so they have to focus on pool disciplines, which are a great way to improve technique and train for deep freediving. By the end of this course you will understand the fundamental knowledge and techniques of freediving without fins, and how they apply to safe and fun freediving. After passing exam you will be certified as SSI No-Fins freediver. NOTE: Course can be done in one day with the only pool training. In that case price of the course is USD 125 and student can be certified as Pool No-Fins freediver.